As the weather changes and volleyball season comes to a close, you may be left thinking ‘What do I do next?’ If this is your first volleyball offseason, you may be wondering what are the next steps to take when furthering your volleyball education. Whether you’re in a small town, new to the sport, or a seasoned player, this article will give you more ideas on how to keep ‘practicing’ in the offseason. Volleyball offseason typically runs from late November to early August (United States). During these months, it’s typical that athletes participate in other after-school activities, sports, or lessons. Many volleyball players will enroll in club volleyball, but for many, this is not a financially viable option. It’s so important to continue learning important skills and practice developing ones. The offseason is the time of year to LEARN new skills and the season is the time to APPLY them. Did you know that private coaching is a thing? Well, now you know! If you are already a part of a volleyball program, it would help to ask your coach some extra steps that you can take in the offseason to remain in practice mode and grow as a player even when off the court. Remember, the most important time to grow and learn new skills is during the OFFSEASON. This way, during the season you are applying the skills you’ve been learning all year long. Your coach may recommend to you some drills, practices, and exercises to keep your volleyball mind right. There are a ton of resources all over the internet that can help teach you new concepts about the game of volleyball. 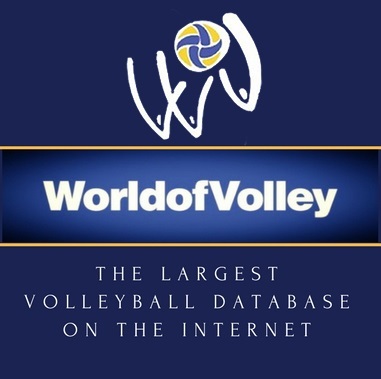 From volleyball blogs, YouTube videos, and online volleyball courses. There is something out there for every single skill level. The best things in life happen in pairs. If you so happen to have a teammate who is trying out, why not practice together? Many volleyball drills are best completed with an additional partner. Take some time to practice your basic skills such as passing, digging, setting, serving, and attacking the ball. Many recreational centers offer youth classes! By joining these classes you can meet youths from other teams, skill levels, and get some time on the net which is the MOST important. Learning the skills of teamwork is also very vital. How do you plan to continue your volleyball education this offseason? Comment below!